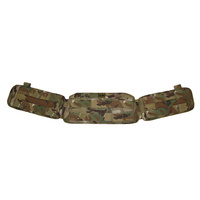 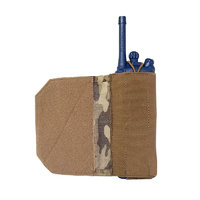 Low-profile under the cummerbund pouch for the PRR/SPR. 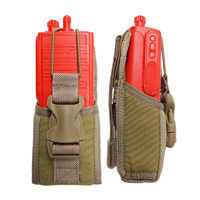 Designed to be worn with the 5-pin jack next to the plate for ease of routing. 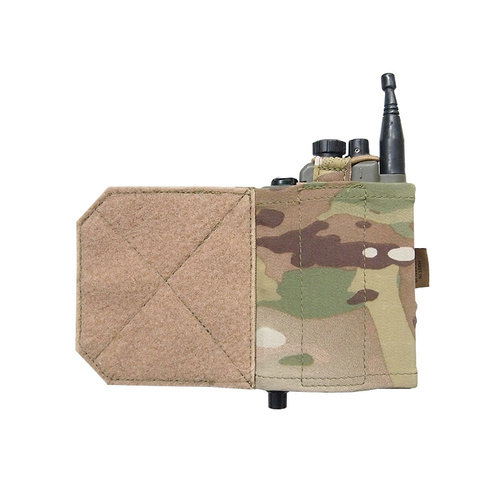 Tweave material will hold the radio in tight with airmesh backing for comfort and additional foam to create more standoff to the radio mounted PTT button. 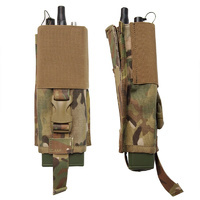 The volume and channel knobs are still easily accessible. 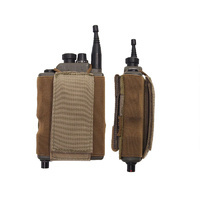 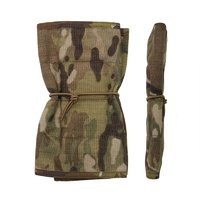 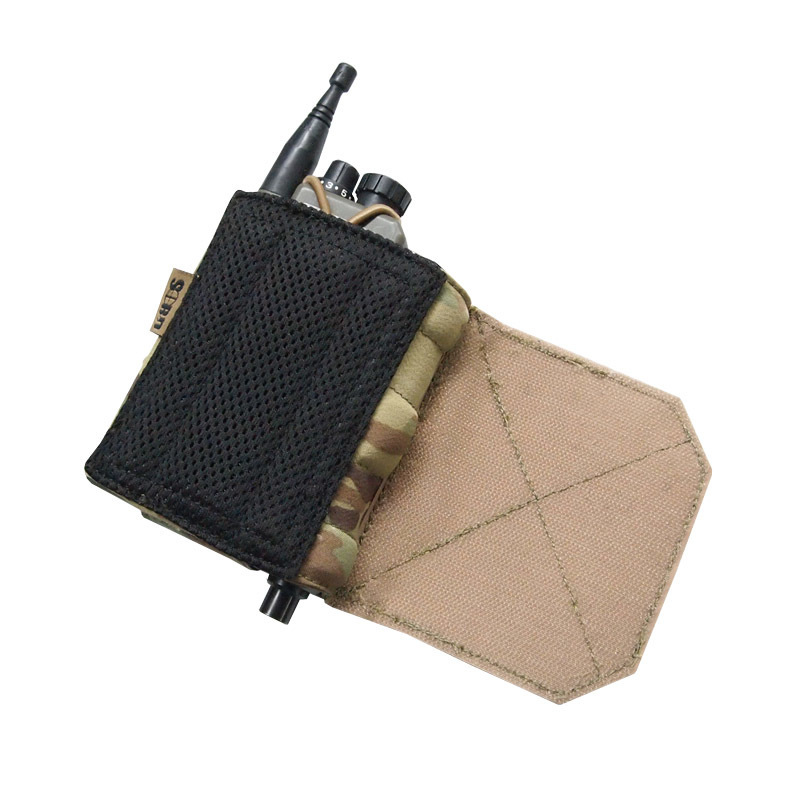 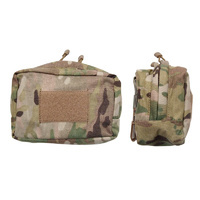 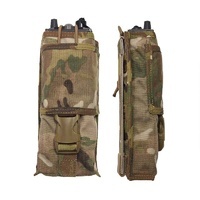 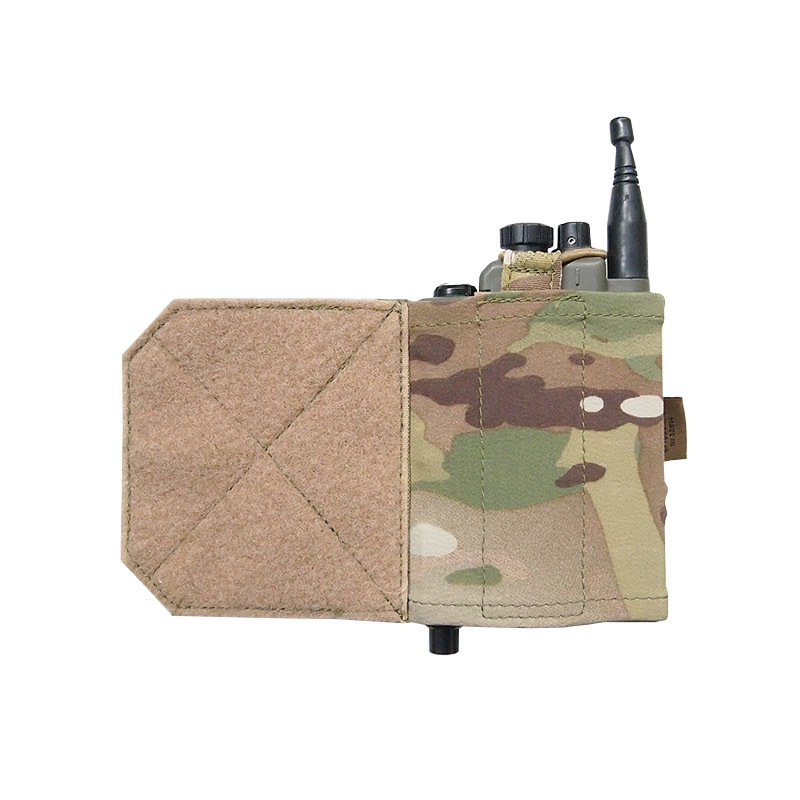 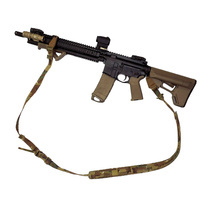 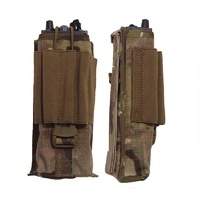 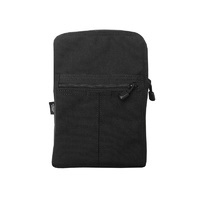 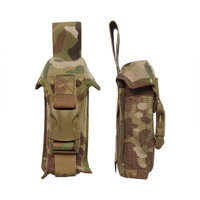 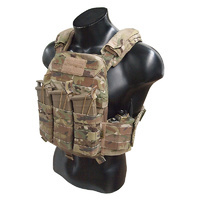 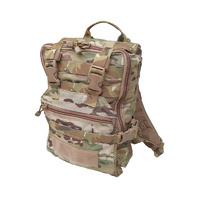 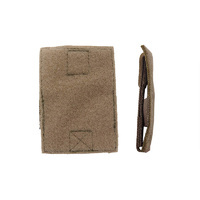 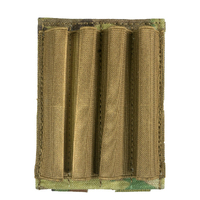 Pouch can be mounted on the left or right hand side and the radio can be removed from the top or bottom.